Do you call a licensed plumber or DIY it? Despite the claims of popular DIY shows, not to mention YouTube videos, there are just some plumbing issues you cannot DIY. The key for the average homeowner is knowing their own limits. What might be a simple fix for a professional could run into two or three times the trouble and cost with a DIY-gone-bad. That said, Knoxville Plumbing has put together a short list of plumbing issues that can usually be a successful DIY project along with ones that should be handled by a licensed plumber. The most successful DIY projects will only require a minimal number of tools and will be in easy-to-access areas. They may require a trip to the hardware store, but should not take too much time out of your day. 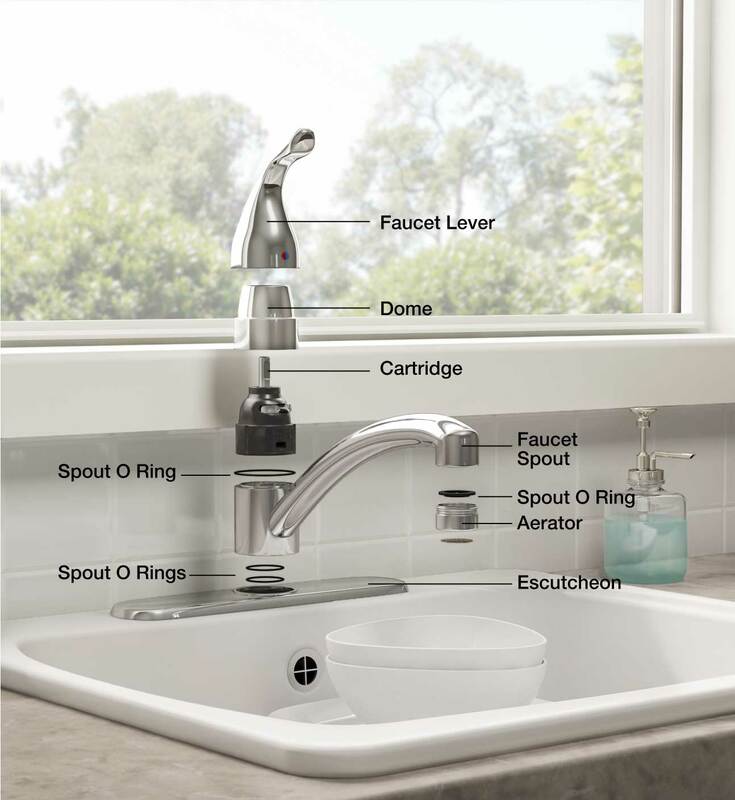 Faucets leak from either the handles or the spout. To DIY repair the leak you have to determine where it originates. After you figure out where the leak is, turn off your water supply to the faucet. Next, disassemble that part of the faucet, using appropriate tools. You may need to replace O rings, washers, cartridges, or an aerator. Taking the worn or damaged part with you to the hardware store will help you to figure out exactly which replacement you need. Most clogs respond well to DIY treatments. Try pouring boiling water down the clogged pipe, as long as it is not PVC. Other common and successful DIY tricks are plunging, baking soda and vinegar, or a small drain snake. You can also remove the P trap under the sink to try to find the clog. If the clog persists, or you do not want to start pulling your pipes apart, your best bet is to call a licensed plumber to get deeper into the problem. If your toilet continues to run after the tank is full, it is usually an easy fix. 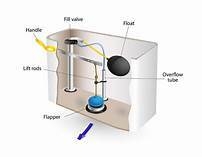 These problems occur when there is a problem with the fill tube, the water level float, the flush handle/flapper chain, or the flapper itself. You will have to drain the tank and bowl to perform some of these repairs, so if it looks more troublesome than you have time for, just give us a call. We recommend every homeowner have basic plumbing tools, including a heavy pipe wrench, a water meter key, an adjustable wrench, and a toilet auger. These jobs, however, can lead to much more complex problems and require specialized equipment and experience to correctly diagnose and repair. We recommend calling a licensed plumber for these kinds of jobs. Anytime you have to take pipes apart, you should have a licensed plumber doing the work. They will be able to assess multiple factors including the age of your pipes and the exact needs for your pipes when it comes to putting everything back together again. The sump pit, usually in the basement, collects water that drains into the house from groundwater or perimeter drains. Once water has accumulated in the pit, the pump pushes the water away from the house. Your sump pump is an easy to forget — an out-of-sight, out-of-mind appliance. You do not want to forget or ignore it. The potential for serious problems if it is not working properly makes this type of installation, maintenance, and repair best for a licensed plumber rather than DIY. 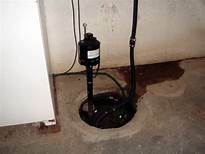 You do not want to deal with a broken or improperly installed sump pump. Gurgling sounds and water backing up in your drains, toilet, or bathtub indicate a major problem. Mainline backups require specialized equipment including a camera attached to a line to accurately assess the damage and plan repairs. 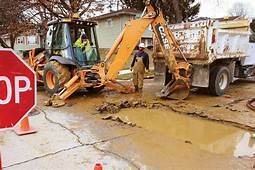 The repairs often entail using digging equipment to access the damaged pipes. You definitely want a licensed plumber dealing with the wastewater rather than exposing yourself to this hazardous waste. If you get started with a DIY that turns into a nightmare, that is where we come in! Knoxville Plumbing has expert licensed plumbers standing by to help with any of your plumbing concerns. Here are a few of the most common DIY plumbing fails, according to Family Handyman. You can read details about each of these fails on Family Handyman. DIY projects are a great option for many homeowners in the right circumstances. We appreciate the need to save money and the sense of satisfaction that comes from a job well done. But, if your DIY project gets out of control or if the plumbing problem is beyond your expertise, Knoxville Plumbing can help. Give us a call today!